Riding a bicycle can be a wonderful way to engage with nature and the changing seasons. The feeling of setting off on two wheels is like an adventure, as each outing offers something different. You can enjoy areas that are inaccessible to a car and move along much more quietly. The result is that you see and hear so much more. Even a slow bike ride – the kind I’m referring to – also allows you to wind down, get some exercise and reduce your carbon footprint. There are even some advantages over walking. You can cover much greater distances and pass quickly through areas of little interest. At the same time, travelling by bicycle is slow and gentle enough to take in all the same sights, sounds and smells as you would on foot. When something of interest grabs your attention, you can simply stop. Birding and biking are made for each other. 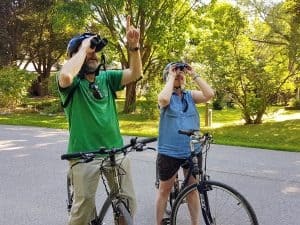 Just this week a friend told me he heard and/or saw 24 species during a 90-minute ride on the Trans Canada Trail from Jackson Park to Ackison Road and back. Highlights included an osprey near Ackison and two northern harriers at Lily Lake. He also saw numerous birds carrying food to feed young. Birding from a bike is far less confined than from a car. There’s no window frames or roof to block your view and no annoying engine, fan or beeping sounds. Unlike getting out of a car, there’s also no need to quietly close the door. When a bird darts across the road or trail, you can quickly and safely stop, put your feet down and lift your binoculars to your eyes. Just remember to pedal slowly enough to observe the habitat you’re passing through, avoid potholes or other obstacles and pay attention to other trail users. Pedalling slowly also eliminates wind noise. For people who are new to birding – children, for example – travelling by bike is also more fun, since much of birding involves walking, standing and waiting – over and over again. A hybrid is probably the best bicycle choice, although any bike that is suitable for riding on gravel will do. Remember to dress warmly, especially in the spring and fall. Always wear a helmet and consider bringing a pump and maybe even a spare inner tube. Be sure you have a kickstand and lock, too, since you’ll often want to stop, get off the bike and maybe wander down a pathway. Don’t forget water and maybe a snack. A pair of binoculars is a must – the lighter the better. Remember to keep them around your neck. A binocular harness can be useful, too, because it will stop your binos from swinging about. Don’t forget your smartphone. 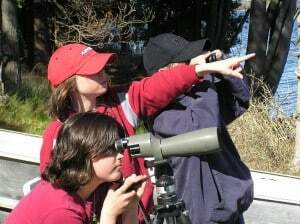 It can be used as a camera, sound recorder, notebook and for consulting field guide apps like the Sibley eGuide to Birds. Enjoying nature from a bike is a great way to engage all of your senses. A good rule of thumb is to stop briefly each time you enter a new habitat type such as a wetland, woodlot or stream crossing. What new species can you see and hear? Here are some other pointers to keep in mind. Vision: Look skyward, to the sides and far ahead. Don’t forget to check the road or trail surface for caterpillars, butterflies, dragonflies, frogs, snakes or maybe even a baby turtle. Check out spots where birds tend to perch such as wires, telephone poles, fence poles and branches of dead trees. In the early morning or evening, scan meadows for deer and maybe even a fox or coyote. Watch the sky, too, for soaring birds like vultures and raptors. Learn to identify the different cloud types and signs of a change in the weather. Smell: Notice how the smells change as you pass through different habitat types. Each month, too, has its signature smells. May smells of lilac and balsam poplar; in late June and early July the fragrance of common milkweed and freshly-cut hay often fills the air; late summer can smell of rank vegetation, while the spicy perfume of fallen leaves is a time-honoured scent of fall. Touch: Pay attention to how the air temperature changes as you pass from a warm, sunny area to a shaded section of the road or trail. Feel the warmth or coolness of the wind in your face. Hearing: Listen for frogs and birds in spring and early summer. 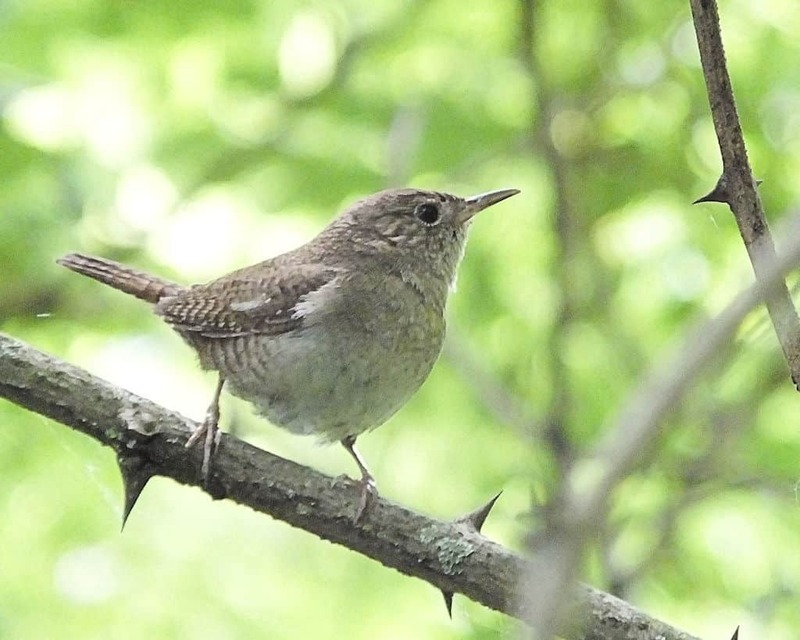 The insect chorus begins to take over in mid-July and lasts through early fall. Listen to how each habitat type offers up different voices. 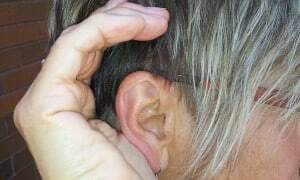 Cupping your ears will greatly increase your ability to hear distant sounds. For each season with the exception of winter, I have provided a very brief list of some common species, nature happenings and sounds to watch and listen for from your bike. How many can you see or hear? The following roads and trails offer different habitat types and a wide variety of species. The roads are relatively free of traffic. 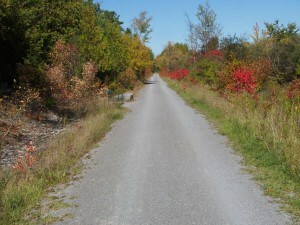 To learn about other quiet routes in the Peterborough area, go to biketoptbo.ca/longer-rides/city-cycling-routes/ Created by Cary Weitzman, this site is a treasure-trove of information. Printed maps are available as well at City Hall and local bike shops. Hubble Road (east of Stony Lake off Cty Rd 44) Rare birds. 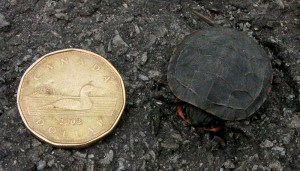 Sandy Lake Road (30 minutes north of Havelock on Cty Rd 46) Rare birds and butterflies. County Road 24: Start at Cty Rd 18 and follow north to Cty Rd 20, north to 10th Line and east to Cty Rd 25. Return the same way. Great wetland and field habitat. Fifth Line west from Bridgenorth Trail parking lot to Pinehill Road. Follow Pinehill to Steinkrauss Drive and continue north through residential streets of Bridgenorth to East Communication Road. Follow to Miller Creek Conservation Area on 7th Line. Return to 5th Line by way of Bridgenorth Trail. Great views and varied habitat. Roads in provincial parks such as Petroglyphs, Presqu’ile and Carden Alvar. Parkway Corridor (paved) from Jackson Park to Cumberland Street. Retention pond with ducks. 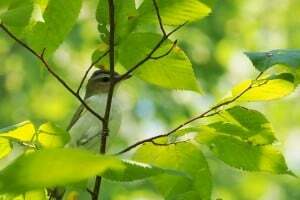 Birds in dense vines at Cumberland end. Do a family scavenger hunt by using the species and sounds above to make a checklist. Go on a sounds ride – how many different natural sounds can you hear? Count an individual species – how many monarch butterflies, turkey vultures or other species can you spot? Choose your own “Magic Spot”. Find a quiet, nature-rich location along the road or trail where you can get off the bike, sit quietly for five or 10 minutes and relax. Note seasonal changes. If you love birding, do a “Big Day” to see how many bird species you find over the course of a day. Former Peterborough resident, Jody Allair, a staff member at Bird Studies Canada, did his Great Canadian Birdathon by bike this spring and found 132 species. He and his team biked 32 kilometres in the Long Point area on Lake Erie. I’d like to thank Chris Risley and Marilyn Freeman in the preparation of this article. In this second article on how to use our five senses to more fully experience the natural world, I am presenting some simple activities that can add an element of fun to any nature outing. These activities, which can be done alone, with your family or with a larger group, have been taken from an up-coming book I am co-writing with Jacob Rodenburg, Executive Director of Camp Kawartha, on seasons-based nature activities for kids. As Diane Ackerman wrote in her national bestseller, “A Natural History of the Senses”, our eyes are the great monopolists of our senses. In other words, it is primarily through our eyes that we experience the world. Here are three fun activities to boost our ability to really see the natural world around us. • Rainbow Colors: Go to a paint store and ask for paint chips (small cardboard pieces each with a different shade of colour) to take along on your next outing. Try to find natural objects along the trail that match the colour of the paint chips exactly. Once you start looking closely, you will be amazed at how many colours there are in nature. 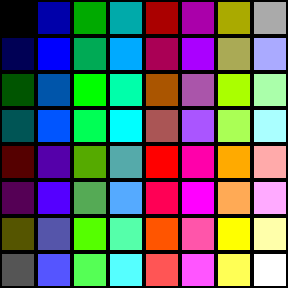 To make the game even more challenging, look for different shades of each colour – especially green. • Look-Alikes – Look for objects or patterns in nature that remind you of something else (e.g., a pattern in the bark looks like a human face). Study the palm of one of your hands. Reach up under a tree and try to find a branching pattern that exactly matches the wrinkle pattern in your lower palm. How many examples can you find? • The Human Camera: This is an activity for a group of children. You will need coloured pencils as well as pieces of stock paper or cardboard of about 4″ X 6″. Working in pairs, partner A (the human camera) closes his or her eyes. Partner B (the photographer) leads partner A to an interesting, close-up scene such as wildflower or a mushroom and positions the “camera” to get the best view. Partner B then pulls gently on partner A’s ear lobes to “open the shutter”, namely his or her eyes. Partner A stares at the scene for 30 seconds or so, remaining perfectly still. Partner B then says to Partner A “take a picture in your mind of what you see and then close your eyes once again.” Partner B carefully leads partner A back to a central location. Without the photographers watching and using the crayons and paper provided, the human cameras must now draw the scene they just took with their eyes and their mind. Now, put all of the “photos” on display. Can the photographers identify their scene? Switch roles and try the activity again. From the buzzing of bees to the trilling of toads, every natural area is characterized by a unique soundscape. Recognizing the common bird, frog and insect songs not only provides a great deal of satisfaction, but it also avoids the hard work of having to actually see the animals each time to identify them. Like acquiring a new language, however, learning to listen to our nonhuman neighbours takes some effort and a little patience. • Focused Hearing: Squeeze your fingers together, take your two hands and cup them behind your ears. At the same time, gently, push your ears forward. This simple procedure can increase your hearing by up to 10 times. In a way, your ears have become “deer ears” – large parabolic dishes that capture sound waves. • Contrast Walk – Block out all sounds by plugging your ears with your fingers as you walk about 50 metres. Stop, and without saying a word, heighten your sense of hearing by slipping on your deer ears. With ears cupped, turn towards different sounds you hear as you walk another 50 metres or so without talking. Discuss the contrast. From the smell of the damp earth and abundant blossoms in spring to the spicy fragrance of fallen leaves in autumn, each season has its signature scents. When you are out for a walk or hike, get into the habit of smelling flowers, buds, green leaves and needles, conifer sap, etc. By gently rubbing plant parts, more of the chemicals they contain are released, which greatly increases the smell. In addition, take the time to think about how certain smells make you feel. The nerves that sense smell are directly connected to the emotional part of your brain, making smell a strong trigger for a flood of emotions. • Lick, Rub and Sniff – Next time you go for a walk and want to smell something, try licking your upper lip. As with dogs and their cold, wet nose, wetness under the nose helps to distinguish more odours. Try a little “rub and sniff.” See if you can notice a difference between smelling with your upper lip dry and then again with it wet. • Smell Cocktail: You will need some Dixie cups and small twigs. As you hike, encourage everyone to selectively harvest tiny “bits” of the forest and place them in the cup: a small pinch of leaf mould, a part of a rubbed leaf, etc. When you have a four or five items, stir them with your twig. This is your smell cocktail! Give each creation a name – perhaps “petaltopia” and let everyone smell each other’s concoction. Can you identify the smells? When you are out on a walk, or just in the backyard, take a moment to think about what you are feeling – not just with your hands, but with your entire body. Feel the breeze, the warmth of the sun and the coolness of the shade. Run your fingers over the bark and leaves of different kinds of trees and notice how different they are. Compare, for example, the texture of oak leaves (thick and leathery) to those of maples (thin and more fragile). • Barefoot Walk: Take off your shoes and socks and, wearing a blindfold, have a friend guide you as walk across a lawn with patches of sun and shade or through shallow water with a sandy bottom – anywhere that is safe and free of sharp objects. Change roles. Talk about how the temperature and the texture of the ground changed. • Meet a Tree: This wonderful activity works best in an open area with lots of trees. You will need one blindfold for every two people. To demonstrate, blindfold a volunteer and say, “I’m going to introduce you to a special friend.” Gently and carefully guide the person in a circuitous route to a pre-selected tree – preferably one that isn’t too big. Have him or her feel the texture of the bark, the arrangement of low branches, the shape of the leaves, the girth of trunk, etc. The more tactile clues you offer, the better. Now guide the volunteer back to the starting point – but not the same way. Gently spin him or her around a few times and remove the blindfold. Say, “Can you find your tree?” Often this is easier said than done. Now, let everyone try it. • Simple challenges: While walking through the woods, challenge group members to find objects in nature that really awaken our sense of touch. To get started, these could include the smoothest, roughest, softest, furriest, bumpiest, slimiest, spikiest, warmest and coldest! Introduce kids – and maybe yourself, too – to the edible wild and the wonderful tastes to be experienced from the landscape. Some plants with edible leaves (generally the young leaves taste best) and flowers include Chicory, Dandelion, Fireweed, Wood Sorrel and all of the different violets. A delightful and familiar-tasting breath freshener can be had by chewing on a leaf or berry of Wintergreen. Simply spit it out when the taste starts to fade. WARNING! As always, be sure you absolutely know what you are tasting. • Forest Tea: As you walk, harvest a handful of Eastern White Cedar and White Pine (long soft needles in bunches of 5). When you get home, toss these in boiling water and let steep for at least 10 minutes. The resulting tea will be bitter but refreshing, and your tongue will dance with the evocative taste of the forest! Do you ever wonder why some people come back from a hike with colourful stories of close encounters with interesting plants and animals yet when you return, all you’ve seen are mosquitoes, trees and a couple of annoying crows? Why do some people observe so much? Granted, seeing nature is partly knowing where and when to look and knowing what to be looking for. However, it is also all very much about venturing forth with a healthy dose of curiosity, activating all of your senses and having your patience primed. • Be patient. Paying attention requires looking and listening with complete concentration. As the Black-capped Chickadee suggests in his three-noted, slurred springtime song, “be-pa-tient”. This might mean standing motionless until the sparrow you thought you saw in a brushpile finally shows itself again or sitting quietly in your car at dawn scanning a meadow and fenceline, until the coyotes you’d been hoping to see finally make an appearance. • Shhhh! To really pay attention, you need to be quiet. This doesn’t mean just talking in a low voice but rather keeping all unnecessary talking to a minimum, especially if your goal is to see birds or mammals. In addition, by minimizing noise, you’ll get that much closer to any animal you eventually do see. Be aware, too, of where and how you are walking. This means choosing where to place your feet so to avoid brittle branches or piles of noisy dry leaves. When you do see or hear something of interest, avoid the urge to yell out. It is just as easy to whisper, or better still, to slowly raise your arm and point at what you have seen or heard. By doing so, the bird or other animal will likely stay put for everyone to enjoy – including you. • Avoid sudden movements. Sudden, jerky movements will scare animals away as quickly as loud noises. You therefore need to get in the habit of moving slowly, smoothly and deliberately, especially as you get closer to whatever you are stalking. Avoiding rapid movements can also be important when you bring your binoculars up to your eyes. Our eyes are our most precious asset for enjoying nature. In today’s modern age, it is easy to be seduced by technology – whether it is a 3-D TV set, the surround-sound of a home theatre system or the amazing graphics of the latest computer game. However, we tend to forget that evolution, too, has endowed humans with remarkable sensory capabilities that can rival or surpass even the latest in technological innovation. Take our eyes for example. As human beings, we have the sight capabilities of a predator. Stereoscopic vision helps us to see in three dimensions and to gauge depth and position. With the help of special “cones” in the back of our eyes, we can distinguish over 10 million different colours! Our ears are able to hear frequencies between sixteen and 20,000 cycles per second, which is sensitive enough to be able detect wind gently moving through grasses. We can also hear sounds from different locations simultaneously – one could say we even hear in three dimensions. And it doesn’t stop there. With every breath in and out, we also detect a myriad of scents. In fact, recent research by Dr. Andreas Keller at Rockefeller University in New York City has demonstrated that our sense of smell is sensitive enough to detect a trillion different odours! This wonderful sense is evocative enough to bring back distant childhood memories of everything from freshly baked pie to the smell of the spring air. Let’s not forget, too, that we are enveloped in amazingly sensitive skin. Special receptors in the skin called Meissner’s corpuscles can respond to pressures as gentle as the sweep of a cool breeze. Finally, some 10,000 taste buds in our mouth help us to detect the faintest of flavours, including bitterness in concentrations as small as one part per 2 million. We therefore need to take the time to unplug technology and “plug in” to the natural world through the wonder of these highly-developed senses that we often take for granted. In a way – this is our green conduit – the most basic and arguably, the most powerful way to connect to nature. But, as we’ll see, to drink the world in through our senses takes practice. More than anything, humans are visual animals. In other words, we have evolved to make use of sight more than our other senses. We therefore need to take full advantage of this amazing gift of evolution. Here are some activities that can help to maximize our use of sight. • Use “splatter vision” – When we walk in a natural setting, most of us cast our eyes downward. This makes sense, for our inclination is to avoid stumbling. However, by focusing primarily on our feet, we are missing so much of what is going on all around us. Practice being an “all around watcher” and use what naturalists call “splatter vision”. This means not keeping our eyes in one place for too long. As you walk, remember to look up, glance to the sides, scan what’s happening off in the distance and occasionally take a look behind. By continuously sweeping your eyes in all directions, you are more likely to pick up animal movement in the landscape – perhaps a distant Fisher crossing the road or a hawk soaring overhead. When you arrive at a body of water, look for any dark objects (e.g., ducks, a beaver) swimming or floating on the surface. Also, make a special point of checking out telephone poles and wires, dead branches in the crowns of trees, fence posts, etc. – anywhere a bird might perch. • Use binoculars – Our sense of sight can be greatly enhanced by learning to use binoculars properly. Many naturalists find 8 X 40 or 8 X 42 binoculars the best choice. They provide good magnification but also offer a wider field of vision. This makes it easier to actually locate a bird our insect with the binoculars and follow it as it moves around. Most serious birders purchase a roof prism design, because they are the lightest, most durable and most waterproof. Good nature-viewing binoculars should also have what’s known as “close focus”. This means that they will focus on objects only a metre or so away. Not only will you be able to study birds up close, but you will also be able to watch butterflies and dragonflies. Remember, too, to hold your binoculars with both hands. For added stability, brace yourself up against a tree trunk, car or building. When you do see a bird or other object you want to check out with the binoculars, begin by locking your eyes on the object. Then, slowly raise your binoculars to your eyes. If you have done this correctly, the bird, insect or mammal should be right in the middle of your field of vision. Don’t make the mistake of simply scanning randomly with your binoculars in the general vicinity of the bird in the hope of stumbling upon it. 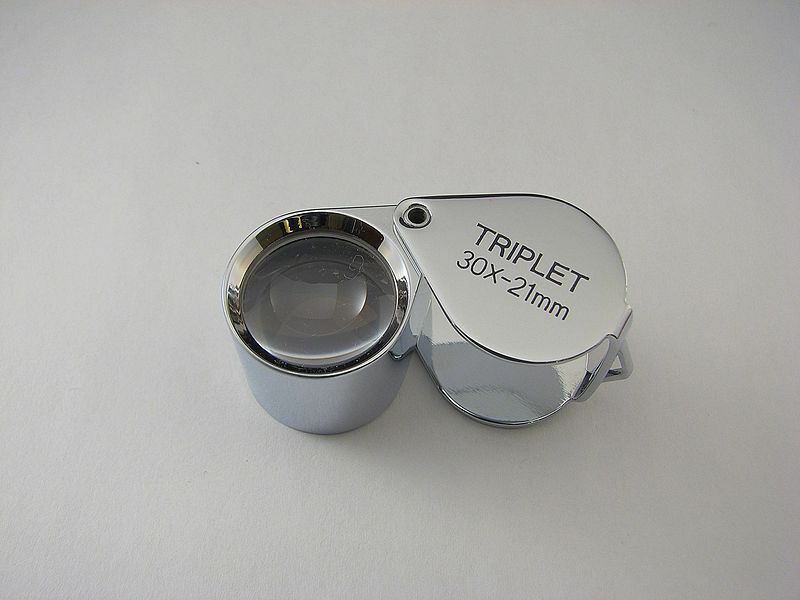 • Use a hand lens: A good hand lens can open up an entire new world when used properly. Hold the lens as close to your eye as possible. Bring the object you are looking at towards the lens (or vice versa) until it is in focus. This usually means getting as close as a couple of centimetres away. For most nature study purposes such as examination of insects, plant parts and rocks, 10 X is an excellent magnification. Next week, I’ll provide more suggestions and activities for getting the most from our five senses when exploring the natural world. This series of articles is part of an up-coming book I’m co-writing with Jacob Rodenburg, Executive Director of Camp Kawartha, on seasons-based nature activities for kids. Last week, I began a discussion about smell. 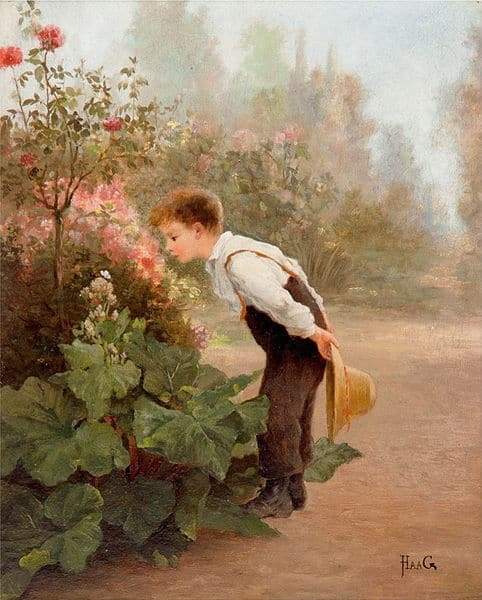 Today, I’d like to talk a little about the role of smell in the lives of our flora and fauna, and how the sense of smell has long been in decline in humans. I will also conclude my list of signature scents of the seasons. Smell plays a huge role in plant and animal communication. However, nearly all of these airborne messages go undetected by the human nose. Smell is the principal means by which insects communicate, be it ants laying down scent trails for other ants to follow or the ability of a male Cecropia moth to find a female several kilometres away by following the scent of pheromones she emits. Salamanders depend on smell each spring when they follow their imprinted memory of their natal forest pond with its specific odours of mud and decaying vegetation. Smell allows squirrels to find acorns they buried months earlier, while wolves, by scent alone, can locate prey, other pack members and enemies. Even though birds in general have a poor sense of smell, turkey vultures are an exception. They can use the odour of rotting meat to find a dead animal deep in the forest. In the plant world, petunias emit a strong odour at night specifically to draw in hawk moths for the purpose of pollination. A host of other plants, when under attack by insects, will emit aromatic substances that serve to attract insect eaters. When it comes to humans, however, the role of smell as a tool of communication – and the acuity of our sense of smell itself – has been deteriorating for thousands of years. Evolution has long been phasing out our sense of smell. Genetic studies have shown a steady decline in the number of functional olfactory receptor genes through primate evolution to humans. These are the genes that encode for the production of receptor cells in our nose that detect different odours. Today, even mice have 2.7 times as many functional olfactory receptor genes as humans! Fully 70% of the human olfactory receptor genes have become nonfunctional. Clearly, human evolution has been marked by the gradual rise of vision and the reduction of smell. Our noses have become smaller and our eyes have moved to the middle of the face to permit depth vision. At the same time, the adoption of an erect posture has moved our nose away from the ground and away from its multiplicity of odours. Despite this decline, we still crave smell today. This helps to explain why chemists continue to drench everything, from cars to lotions to incense, with some kind of chemical scent. Many questions remain as to why humans find some smells pleasant and others disagreeable. For example, why do we find the smell of rotting meat so foul? Once again, is there an evolutionary advantage to being repulsed by this smell? The standard response would be that evolution has shaped us to avoid eating things we don’t like the smell of because they are probably unsafe. Another question could be: Why do humans find the smell of most flowers pleasing? Is there something in our evolutionary history that makes liking floral fragrances important to our survival, or is there no connection at all? The smells listed below are representative of spring and summer in the Kawarthas. They are listed more or less in chronological order. Many, however, continue to occur over more than one season. · Grass fires – a common April smell in suburban Peterborough in the 1950’s and 60’s. · Thawing earth – as microbial activity increases in the spring, hundreds of chemicals are released by the microbes in the soil. The rich, earthy smell of the ground at this time of year is usually due to a compound called geosmin. It is also what gives beets their earthy taste. The human nose is extremely sensitive to geosmin. · Wild leek – the onion-like smell of wild leek below your feet during a spring walk through a maple woodlot. Their leaves are the first new growth of spring and appear soon after the snow melts. · Skunk cabbage – even though this species has not yet extended its range northward into the Kawarthas, it may soon do so as a result of climate change. In southern Ontario, skunk cabbage is the first flower to bloom in the spring. Carrion- eating insects are attracted to the smell and color and therefore play the role of pollinators. The skunky odour is spread to a large degree by the heat generated as the plant grows. It can even melt the snow that comes into contact with the plant. · Freshly mown grass – a researcher in Australia, Dr. Nick Lavidis, has found that a chemical released by freshly mowed grass can help people relax, put them in a better mood, and actually enhance memory. Like other smells, it directly affects the brain’s emotional and memory structures. · Balsam poplar – from early May to mid-June, this sweet, pungent balsam odour permeates the air almost everywhere in the Kawarthas. It is especially strong on warm, damp mornings. The scent originates from the sticky sap that oozes from balsam poplar buds as they open. Balsam poplar is probably my favourite smell of the year and says “this is springtime in the Kawarthas” more than any other odour. · Lilac – in the second half of May, city neighbourhoods and rail-trails are drenched with the floral fragrance of lilac. Even though I’m generally not a fan of non-native species, I’m ready to make an exception for lilacs! · Cherry – In the countryside, pin and chokecherry add their fragrances to the mix of lilac, balsam poplar and freshly mown grass. Take a moment to smell chokecherry blossoms close up. They have a lovely almond smell, as do the twigs and bark when crushed. · Freshly cut hay curing in the sun – the sweet scent of the first days of summer. It is claimed that from a downwind location, you can smell a hayfield a mile away. · Common Milkweed – if you come across a patch of milkweeds in July, stop to smell the honey-sweet perfume of the mauve-pink flowers which fills the air along country roads. The flowers can even be dried and used for making pot-pourri. · Canada elderberry – the fragrant, tiny white flowers of the elderberry shrub occur in flat clusters. They not only smell great but they are also edible. When flowers are open, the clusters can be picked, dipped in pancake batter and fried. · Petrichor – this is the strong scent in the air when rain falls after a dry spell of weather. The smell comes from oils given off by certain plants during dry periods which are absorbed by the soil. When it rains, the oil is released into the air along with geosmin (see Early Spring) which produces the distinctive scent. · Walnuts – the strong, citrus smell of unripe, green-coloured walnut fruits is a sign that summer is starting to wane. Keep one in your hand or pocket when out for a walk, just to enjoy the scent. · Sweetfern – the shiny, fern-like leaves of this Shield plant are incredibly aromatic, especially on a hot day. The leaves keep their scent for months after being picked. · Goldenrod – a subtle but sweet smell of goldenrod is everywhere by late August when entire fields become a sea of yellow. · Algal blooms – in addition to turning the water milky-green and smelling bad, algal blooms usually mean that Labour Day is quickly approaching and, with it, the beginning of the true New Year. Try to take time to cultivate your sense of the smells of the season. An awareness of their presence and where they are coming from can add so much to an outing or to just spending time working in the yard. Be it fallen leaves in November, skunk spray in February, balsam poplar in May or wild bergamot in July, smell never ceases to inform us about what is happening in the natural world. YOUR NOSE KNOWS NATURE – smell can trigger vivid memories…even outboard fumes and finishing trips! Leaving the house one dark, wet morning last week, I immediately noticed our maples had shed nearly all of their leaves overnight. Despite feeling a bit discouraged at all the raking I’d have to do, I couldn’t get over the wonderful smell that greeted me. It was like walking into the heart of a maple forest, full of the spicy, lusty leaf smell that becomes especially rich on a damp morning. Like the dark-eyed juncos at the backyard feeder, the cool temperatures and the greys and browns of roadside goldenrods, the smell of sodden leaves on the ground signals November’s arrival. Gone are the heady days of early October with its riot of colour and still summer-like weather. We have moved on. Appreciating nature is clearly not just about sights and sounds. It’s also very much about odours and even taste and touch. We need to bring all of our senses to the experience. For me, smell is an emotionally-charged sense that represents the promise of change – the barely perceptible slippage of one season or time of year into another. As humans, we experience the world primarily through eyes and ears. We tend to pay less attention to what our nose is telling us. It’s partly because our culture often teaches us that there is something impolite or embarrassing about odours. Nor is smell a sense that we usually need in order to survive. At the same time, however, smell allows for near instantaneous emotional connection to a situation. Without it, we feel isolated. The human nose detects smells through millions of microscopic olfactory cells, located in two patches about the size of postage stamps on the roof of the nasal cavity. When odour molecules reach the cavity, they dissolve in a layer of mucous and are absorbed by hairs on top of the nerve cells. Differently shaped cells “trap” different molecules – almost like a key fitting into a lock – and therefore recognize different smells. The olfactory nerve then transports signals from the cells to the smell centre in the brain. Humans can detect over ten thousand odours and have about five million of these olfactory cells. This sounds impressive until you discover that dogs typically have about 44 times more! Imagine the huge diversity of smells that a dog encounters and that are lost on us. Imagine the pleasures we are missing. As much as our brains have expanded over evolutionary time, our sense of smell has shrunk. What a pity. It is said that smell is our most ancient sense, and that it is wired deeper into our brains than even sight and hearing. This helps to explain why a few simple airborne molecules – as little as one part per billion – can trigger vivid recollections and strong sentiments. This is not surprising. Our sense of smell follows a pathway in the brain that is linked to the brain’s emotional and memory centres. That’s why we react so strongly to certain smells and either love them or hate them. It is also why smells can leave permanent impressions that are strongly linked to past experiences. The smell of smoke from an outboard motor reminds me of wonderful fishing outings with my grandfather and is therefore an odour I like. I’m sure for most people, though, exhaust is not at the top of their smell list! More than anything, our reaction to smells is intensely personal. Maybe part of the reason we tend to almost suppress or ignore our sense of smell is that our language to even talk about it is severely lacking. About all we have to work with are the names of the seven basic smell groups: minty (peppermint), floral (roses), ethereal (pears), musky (musk), resinous (pine sap), foul (rotten eggs), and acrid (vinegar). Beyond this, the requisite words don’t seem to exist. It’s as if we’ve never developed the proper vocabulary to properly describe the olfactory experience. In “A Natural History of the Senses” poet Diane Ackerman describes how hard it is to explain how something smells to someone who hasn’t smelled it. “Lacking vocabulary, we are left tongue-tied, groping for words in a sea of inarticulate pleasure and exaltation.” Contrast this to our sense of sight where we have words for every shade and intensity of colour. When it comes to the tones and tints of a smell, however, we are left to devices such as awkward comparisons to something else, be it vanilla or wet dog hair. We also tend describe a smell in terms of our reaction to it – what a delightful (or revolting) smell! Even today, Amazon Indians use smell to identify trees, since features such as leaves, flowers and fruit can be hard to get at. They simply slash the bark with a machete and breathe in the tell-tale flood of odours that pour out. By paying attention to nature’s different aromas, we can literally follow the progression of the seasons smell by smell and thereby feel further connected to the Earth’s endless cycles. I’d therefore like to propose an olfactory trip through the year of smells that represent for me the mileposts of the seasons. While most of the smells are pleasant, some rather disagreeable odours are included in my list as well, simply because they, too, signal the time of year. · Wintergreen leaves – on fall walks, I love to stop and crush a wintergreen leaf for its strong, wintergreen scent. The leaves of this evergreen plant can also be chewed. · Fungi – most mushrooms do not have a distinctive odour. However, there are exceptions. Agaricus mushrooms smell like almonds, while some Marasmius species have a garlic smell. The golden chanterelle smells like apricots. The strongest odours, unfortunately, belong to stinkhorn fungus which smell like carrion and actually attract flies. · Freshly cut wood – probably the best month to cut firewood, November brings the smell of wood as the axe or chainsaw bites through a log. Some of my favourite wood smells are white pine, white birch (reminds of Tinker Toys) and eastern red cedar. · A general lack of smell – an absence of strong smells is a characteristic feature of late fall and early winter. Much of the reason for this is because there are no plants in bloom. · Balsam fir – a balsam Christmas tree transforms the smell of the house and immediately evokes memories of Christmases past. The foliage of all the conifers exudes wonderful, resinous smells, especially when warmed by the sun on a mild winter day. · The smell of approaching snow – snow can contain many chemicals such as formaldehyde and sulphate, all of which have distinctive odours, and can sometimes be perceived by the human nose. The nose is also sensitive to changes in temperature, humidity, and air pressure, all of which can signal that it is about to snow. · Smells associated with snow – Snow in itself may not have an odour, but it is definitely mingled with myriad other smells such as cross-country ski wax, smoke from a wood stove, and even snowmobile exhaust. · Skunk spray – the smell of a male skunk on the prowl on a wet, mild February night is one of the first signs of pre-spring. It is an unpleasant but yet welcome smell that heralds the red-winged blackbirds’ arrival in a few short weeks. · Balsam poplar and yellow birch buds– when I’m skiing or walking in the woods, I love to stop and squeeze the resinous buds of a balsam poplar. They give off the sweet, pungent balsam odour that is so common in the Kawarthas in May. For a wonderful wintergreen smell, crush a twig or bud of a yellow birch tree. Next week, I’ll continue my discussion of the signature smells of nature’s year with a look at spring and summer.